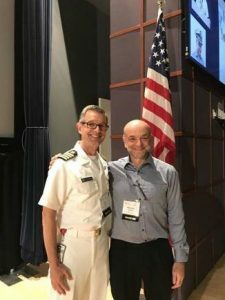 Figure caption: Rick Troiano (Program Director at the National Institute of Health, Bethesda) and Malcolm Granat co-chairs of the International Conference on Ambulatory Monitoring and Physical Activity Measurement (Bethesda, June 2017). At this meeting Malcolm was elected President of International Society for the Measurement of Physical Behaviour. Professor Malcolm Granat has recently been elected as President of the International Society for the Measurement of Physical Behaviour (www.ismpb.org). The ISMPB is a non-profit scientific society that aims to promote and facilitate the study and applications of objective measurement and quantification of free-living physical behaviour(s) and its related constructs (e.g. energy expenditure, context) using wearable devices. Alongside organising the biennial International Conference on Ambulatory Monitoring and Physical Activity Measurement (ICAMPAM), the Society aims to bring together people from a wide variety of backgrounds and expertise, including researchers, clinicians, therapists, signal analysts, computational scientists and commercial companies. Seeing a rapid growth of research activity in this field, Malcolm Granat together with Professors David Bassett (University of Tenessee, USA), Hans Bussmann (Erasmus MC, Rotterdam, The Netherlands) and Patty Freedson (University of Massachusetts Amherst, USA), formed the Society in 2016. Malcolm was also co-chair of the most recent and highly successful ICAMPAM in the USA (Bethesda, June 2017). The latest initiative of the Society has been the launch of the Journal for the Measurement of Physical Behaviour, which publishes high quality research papers that employ and/or apply sensor-based measures of physical activity, movement disorders, sedentary behaviour and sleep (https://journals.humankinetics.com/page/about/jmpb). 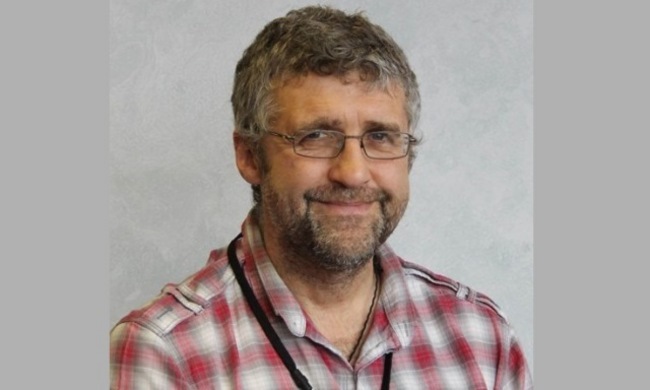 Malcolm believes that his position within the ISMPB will lead to opportunities for University of Salford staff to collaborate with leading international research groups in this fast-expanding field. An example of this is the joint project of the Universities of Salford and Leicester funded by the National Institute of Health Research – a three arm cluster randomised controlled trial to test the effectiveness and cost-effectiveness of the SMArT Work & Life intervention for reducing daily sitting time in office workers. At the University, Malcolm leads the Physical Behaviour Monitoring research theme within the Health Sciences Research Centre and the Technology theme within the Institute for Dementia. 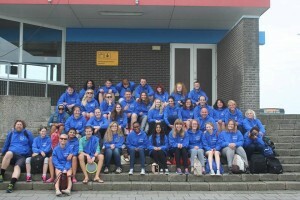 Researchers often use school Personal, Social and Health Education (PSHE) classes to test new ways of engaging young people with health-related issues such as alcohol. It is important that good quality research is carried out in order to work out what approaches work to influence young people’s knowledge, attitudes and behaviour. This workshop will describe how a universal school-based intervention to address adolescent well-being and alcohol misuse was designed and tested, and will explore how schools, parents and communities might collaborate with researchers to further develop these ideas and methods in their own contexts. 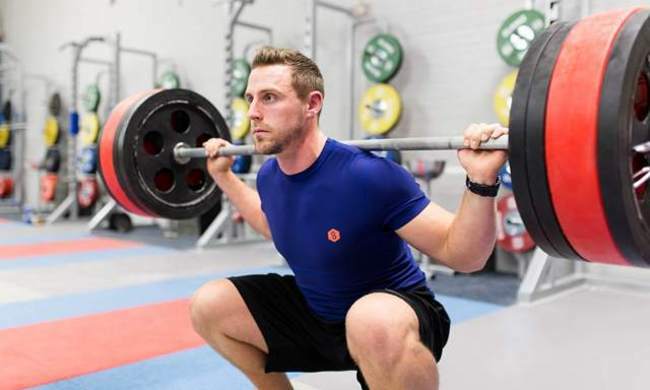 University of Salford academics are helping develop state of the art smart clothing enabling athletes to monitor their performance without the need for bulky gadgets. Researchers from our sports science department in the School of Health Sciences have been awarded £165k from Innovate UK to work with Manchester-based company Smartlife, which specialises in smart garment technology – clothing that can measure signals such as heart rate, movement and muscle activity. The company has created textile sensors and tiny electronics which can be integrated into sports clothing. These discreet and comfortable sensors continuously record data which can be transmitted in real time to a Bluetooth receiving device such as a smart phone, providing feedback on how the athlete is performing during training sessions. Researchers Dr Steve Preece and Dr Steve Atkins will now carry out work to develop the technology further by helping understand how to combine heart rate and acceleration data to build up an accurate picture of how an athlete’s body is using energy. Dr Steve Atkins has recently joined the School of Health Sciences as Director of Sport, Exercise and Physiotherapy. A Fellow of the Higher Education Academy (HEA), Steve’s former post was as Principal Lecturer in Sport Science at UCLan. He held earlier teaching posts at Liverpool Hope University and Newcastle College and in his early career acted as a medic in the Royal Air Force, most notably in the area of Search and Rescue. Steve is particularly interested in research-informed teaching in sport and exercise physiology, training and conditioning, research methods, advanced sciences, health-related fitness, ethics and policy. As well as leading the Directorate, Steve will also continue his work as an external examiner in Medicine at Swansea University and in Sports Science at St. Mary’s University.